When you write an essay, it's important that you reference any sources you have used. This is to show that you are upfront and honest about what work is your own, and what isn't. 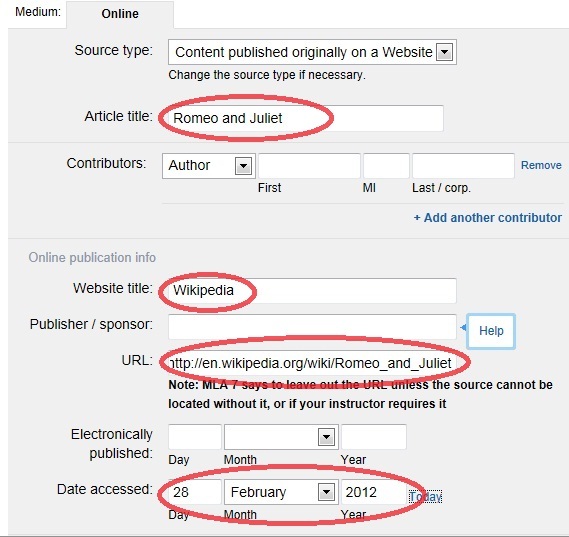 Have a look at the following document, which will explain how to cite your work. Alternatively, you can go to the site mentioned further down this page. Step 1: Enter the website you have used in the space provided, then click on "Cite this"
Step 2: If the website isn't recognised, you will be asked to fill in a form. The highlighted fields are what you need to fill in. When you're done, click on "Create Citation"